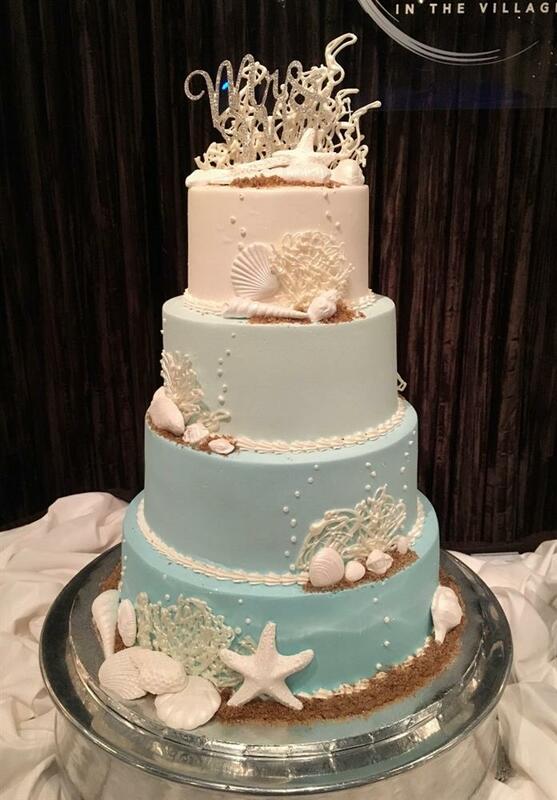 The soon to be married couple requested a Beach theme for their Brides and Groom cakes. We made the Brides cake with Ombre colors of Blue buttercream. The Seashells are made of white Gumpaste and pearlized to give them an elegant shimmer. The sand is made of a mixture of Gold sanding sugar and Brown sugar to give a real sand look. I love the Corral that we made with melted white chocolate. We made the Grooms with Ombre colors of Blue also, but with a horizontal homestyle on the sides for texture. 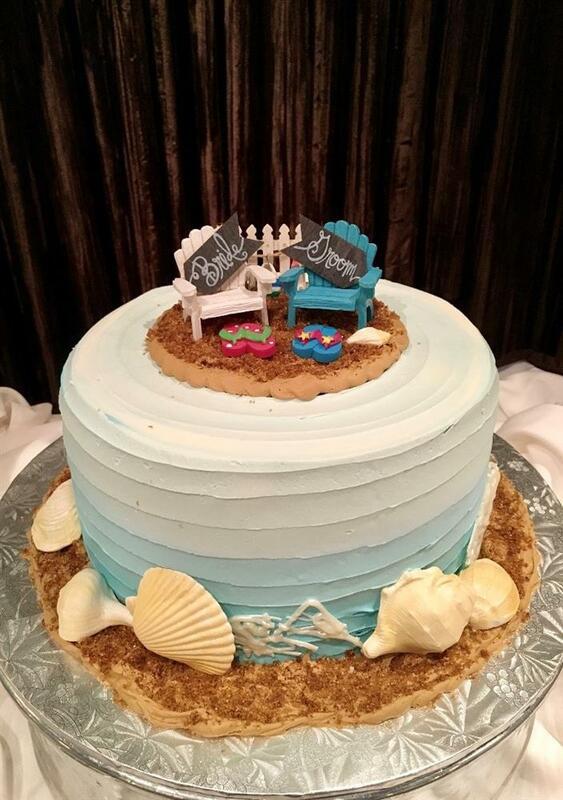 My favorite part are the little Beach chairs (the couple provided from a craft store) that we used as cake toppers. So cute! Best Wishes to Happy Couple!